Is It Possible to Tune Up My iPhone? If you have an iPhone, you’ve purchased yourself one of the best mobile phones currently available in the market. Right from the camera, features, to its processor, everything in iPhone is worth praising. But just like every other mobile phone, your iPhone performance starts to decay from daily wear and over time. 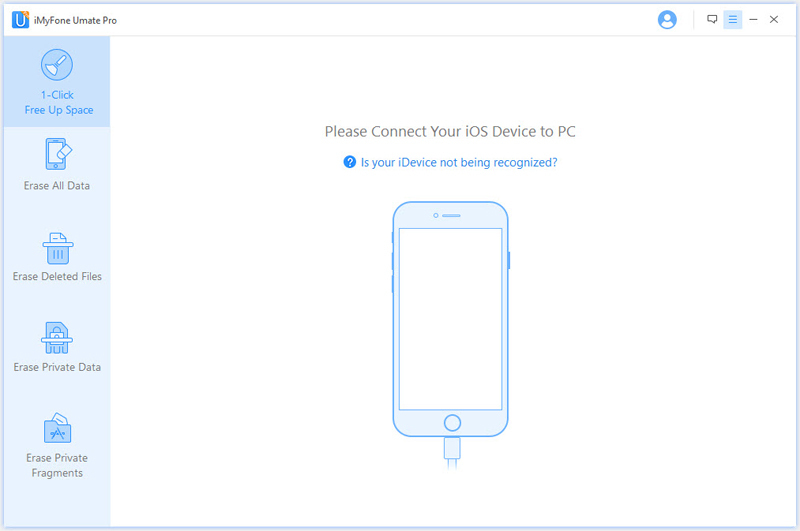 Therefore, you need and iPhone tune up app to improve its performance. No Enough Storage Space- If you have an iPhone and take a lot of pictures, videos, download apps and movies, the mobile will run out of space and its performance will be substantially reduced. Too Many Apps Opened Together- If you use a lot of apps and don’t close them properly when you are done using them, it will slow up your device. Apps Still Running in Background- Many of the apps continue to run in the background even after you close them. For instance, the Facebook app runs even when you are not using it to provide you with new notifications. Part 2: How to Tune Up iPhone with 1-Click? iMyFone Umate Pro or iMyFone Umate Pro for Mac is one of the most useful apps for iOS users. 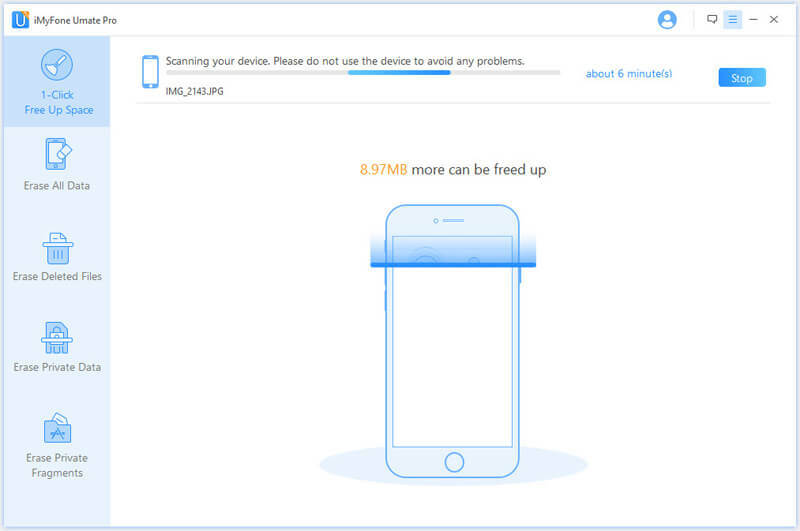 The software comes with a number of handy features that enable users to manage the storage of their device in a much better way while also considerably improving the performance of the device. The 1-Click to Free Up Space feature is one of the most useful and does an excellent job of instantly eliminate the files from your iPhone. Step 1: Launch the software on your PC and connect your device. Step 2: Now, click on "1-Click Free Up Space" button at the left of the screen. Step 3: Click "Quick Scan" and the software will then start scanning your device for files, folders, etc, that can be deleted. Step 4: When the scanning is over, click on the Clean button that you wish to delete from the iPhone. 1. Clear Junk Files for Free-Speed up iPhone by erasing every junk files on your iPhone. 2. Clear Up Temporary Files- All generate temporary files from apps, games, browser, etc, can be erased forever. 3. Optimize iPhone Storage- Remove photos, apps & large files and create a backup on computer while deleting them to save a lot of storage. 4. Erase Data Permanently from iPhone- Erase current or deleted data from iPhone to make them unrecoverable. Here present you with 3 other ways to tune up your iPhone. There are generally a lot of apps and games in your device which you no longer use. One of the simplest ways to tune up iPhone is to delete those apps and games. Another easy way to boost the performance of your iPhone is by closing all the unwanted apps. This will free up the RAM and improve the performance of the device. A simple restart is also a handy option if you want to tune up your iPhone. This can help in clearing out space and can also fix some unruly apps. Needless to say, Umate Pro is one of the best ways to tune up iPhone. It is equipped with a host of features, is easy to use, completely safe, and allows you to manage the storage of your iPhone in a simpler and efficient way.